In an old cardboard box on the concrete floor of Sandra Bowkett’s studio there is a huddle of raw-looking chai cups. They are Indian by design and were made by an Indian potter. What are they doing here in rural Victoria? Are they out of place? There are certainly no chai-wallahs (Indian tea-sellers) to be seen nearby. So begins Andrew Stephens essay on the remarkable life of Sandra Bowkett. 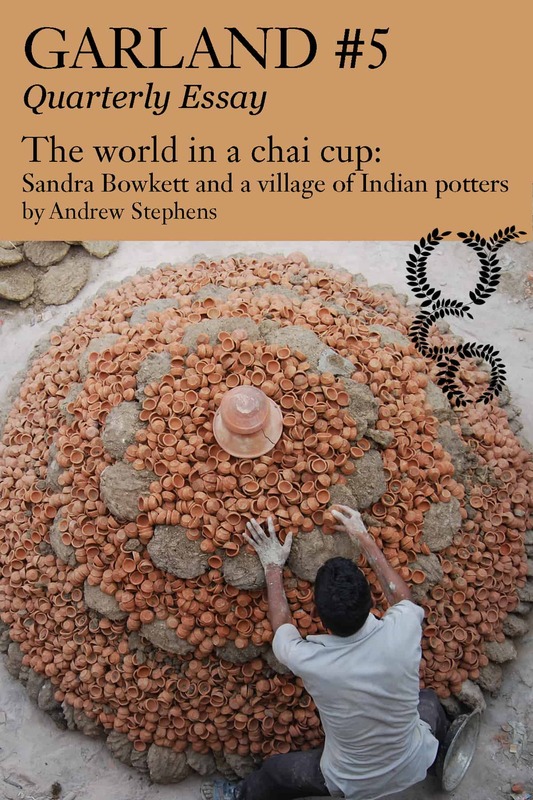 To learn why she is driven to connect with a colony of Indian potters, subscribers can read the essay here.